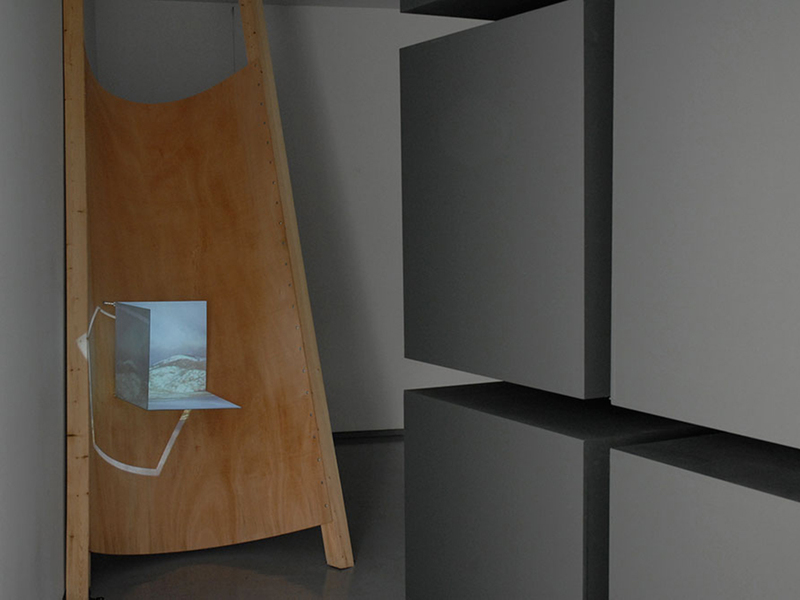 The project "Regarding the black box" presents a video installation. The artist has originally cosntructed a space condition through the mapping of the gallery space. 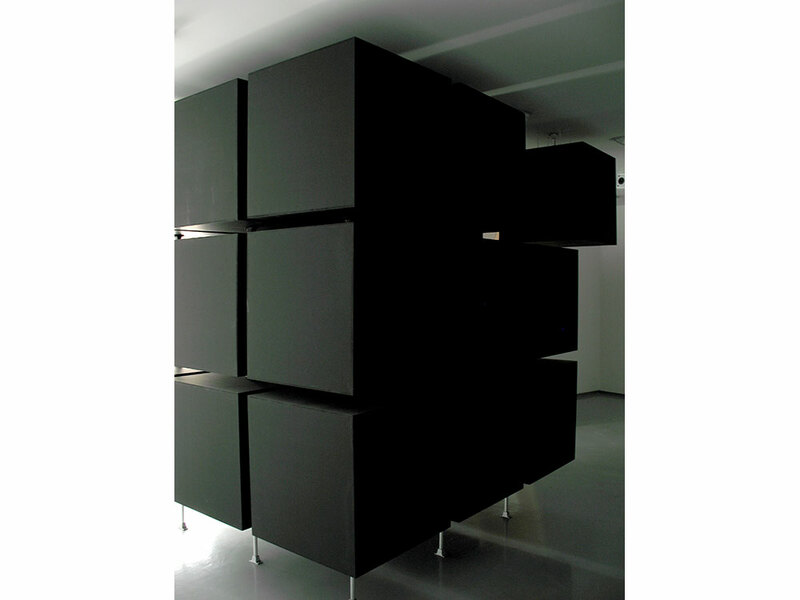 In this space, the artist puts a black cube and a screen-object where she projects a landscape viewed at different times. 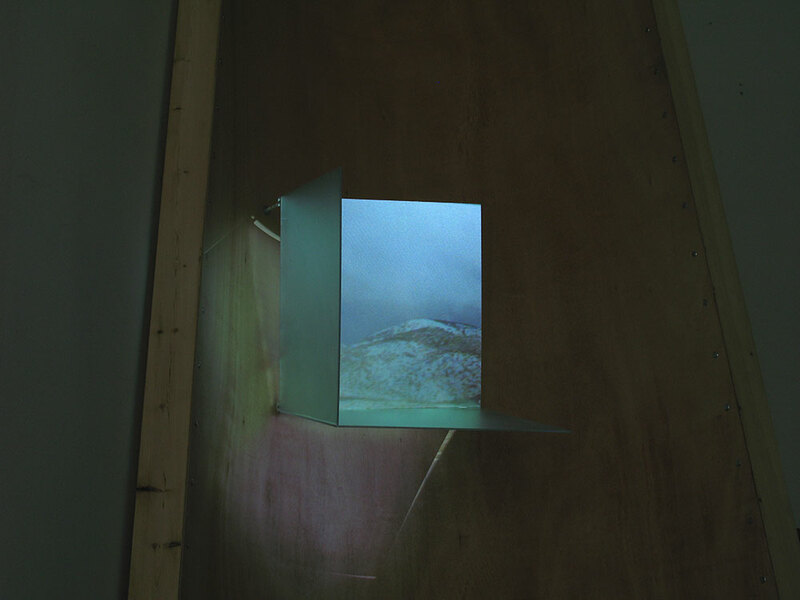 The viewer, under the constant effect of sound of a metronome, is called to coordinate himself to the synchronisation of the audio with the image throughout his stay in space. Describing the live, bidirectional relationship that unites us with the world, Panouklia succeeds eventually to link the inconsistency and complexity of a reality.